Jean-Luc Chossart and Isabelle Jolly bought a rambling Catalan walled farmhouse and coaching inn just west of the village of Espira de l’Agly in 2005. 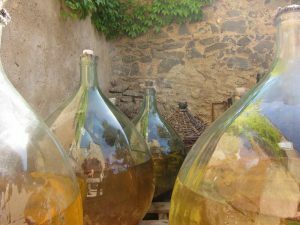 This village lies very close to the town of Rivesaltes, which in turn lies just north of the city of Perpignan. 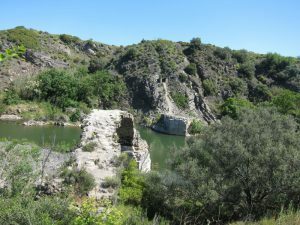 Their vineyards are bordered at the back by an arc of the Agly river which cuts through schistous marl rocks to form a natural canyon and at the front by the D117 highway which passes by their house. 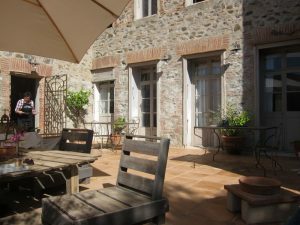 Jean-Luc and Isabelle set about restoring the buildings to their former glory and also re-established the vineyards and converted them to natural treatments and stopped the use of artificial chemicals. The vineyards occupy the space between the walled farmhouse and winery and the Agly river. Jean-Luc and Isabelle make a variety of local specialty wines including still whites and reds, sparking wine made in the Pétillant Naturel style, the famous Muscat de Rivesaltes fortified white wine and a Rancio wine, a style that is so beloved in this region. The wines are all produced from organic fruit which is allowed to ferment using the natural yeasts found in the vineyard. Nothing is added during the vinification process and most of the wines have no sulphur added. They harvest a variety of grapes including Muscat a Petit Grains and Muscat d’Alexandrie, Grenache Gris, Macabeu, Grenache, Syrah and Carignan. The Rancio wines are made by exposing the wine to sunlight for an extended period and then aging the resultant wine in barrels. Here the wine is placed outside in glass demijohns during which time the wine turns a golden orange colour. Jean-Luc loves making wines in the Pétillant Naturel style and has rigged up an outdoor contraption for disgorging the wine to rid it of the dead yeasts that are the result of only having one, in-bottle, fermentation. 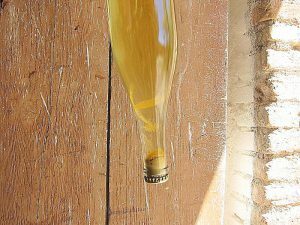 He turns the bottles upside down and allows the dead yeasts to collect in the neck of the bottle as shown on the photo below. When the crown seal is removed the plug of dead yeast is forcibly evicted from the bottle by the gas in the wine. Jean-Luc then tops the bottle up with the same base wine and reseals the bottle. 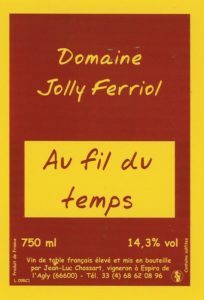 This Jolly Ferriol wine which is made in the Pétillant Naturel style and which goes by the name of Pet’Nat, is a beautifully savoury sparkling wine made from 100% Muscat, that white grape so beloved of the Languedoc and Roussillon. This one is a 50-50 blend of Muscat à Petit Grain and Muscat d’Alexandrie. The vines grow in schisty marl soils and the yield is very low at around 20 hectolitres per hectare. The grapes are picked by hand and then vinified naturally in vats for about three weeks. The wine is bottled before fermentation is complete to ensure that the wine is sparkling. The wine is disgorged after about 5 months in the bottle to clear the bottle of the lees which form, and is then topped up . This is an unusually delicious sparkling wine and doubly unusual because it is made from 100% Syrah but after being disgorged was topped up with Carignan juice. The wine was vinified in stainless steel vats and then bottled before fermentation finished. Fermentation continues in the bottles producing the natural bubbles. The yeast which collects in the bottle as sediment is disgorged leaving a clear, clean sparkling wine. 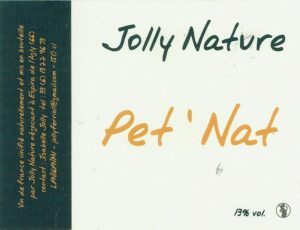 This pet nat has a deep pink colour and a slight herbal bitterness on the finish which is very appealing. It is delightful as an aperitif but is also a very good accompaniment for food. 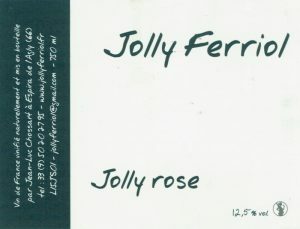 This year Jean-Luc has made the Jolly Ferriol rose from 100% Carignan grapes that were fermented and matured in steel tanks. The skins were removed after a short time in contact with the juice so that It therefore is quite dark rather than the characteristic pink colour we are used to with his rosé wines. It has the trademark qualities of a Jolly Ferriol rosé, namely a haunting, compelling nose, great freshness, good acidity and great drinkability. There are aromas aplenty ranging from strawberries to cherries and there is even a hint of anise. This wine is perfect for summer drinking but can be savoured at any time of the year. Va Nu Pieds means “go barefoot” and conjurs up the image of summertime drinking at the beach or barefoot at a barbecue. It is a fresh, bright, lively wine. 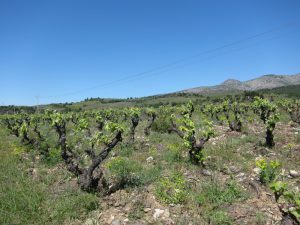 The grapes (Carignan and Grenache) have undergone carbonic maceration and the wine was then matured in old wooden barrels. The wine is then transferred to tanks to allow the sediment to settle before it is bottled without filtering or fining. 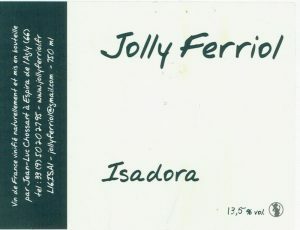 The Jolly Ferriol Isadora is made from 100% Macabeu, that grape variety that is so much part of the wine landscape in southern France and the Catalan area of northern Spain. This wine is made from goblet pruned vines that benefit from the schisty marl soils that border the Agly River. The yield from this vineyard is very low at around 20 hectolitres per hectare. The wine is direct pressed and the juice is fermented naturally and matured in older oak barrels. This wine combines two vintages. It is a delicious wine that is a great match for seafood and goat cheese. This is one of Jean-Luc’s prize cuvees. Made from 100% Syrah, the grapes for this wine are carefully selected during hand harvesting. Nothing is added in the winery, including no additions of sulphites at any time. The wine is fermented with the yeasts that are on the grapes and the wine is neither fined or filtered. This is a luscious wine that ranks amongst the best. This is an explosive white from Jolly Ferriol made entirely from the Muscat grape variety that is so beloved in Southern France. The majority Muscat à Petit Grains and the 10% of Muscat d’Alexandrie produce a powerful aroma that is always associated with Muscat. The wine has an intriguing minerality from the schist soils, and bright, clean flavours that finish with a hint of the bitterness that is usually associated with these grapes. This wine has an umami quality that makes it a perfect match for Japanese food such as chawan mushi. 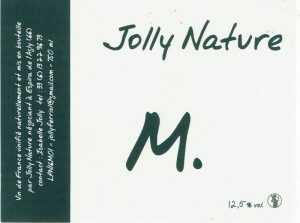 Note: Jolly Nature is on the label if Jolly Ferriol have bought grapes from another organic farmer. Jean-Luc loves making the famous fortified Muscat de Rivesaltes and this is a particularly fine example. This wine is sweet and is made in the style called Vin Doux Naturel where the fermentation is stopped before all the sugar is converted by killing off the yeasts through the addition of grape spirit to the fermenting wine. It is made in about 90 communes across Roussillon which is the closest department to the Spanish border on the Mediterranean side of France. The only permitted grapes for this appellation are Muscat à Petits Grains and Muscat d’Alexandrie, but the combination of these two grapes provides a compelling complexity to the wine. By law this wine must be fortified and have a minimum alcohol content of 15% and must contain a minimum of 100 grams per litre of residual sugar. This wine can be poured for weeks after being opened (if there is any left)! This dry oxidative wine is a real revelation! And it should be oxidative because after it is fermented in vats the wine is transferred to glass demi-johns and they are left outside on the terrace in the sunshine for six months. There is a strong nutty aroma that is a cross between hazelnuts and walnuts extending to the flavour which is true to the rancio style in which it was made. There is even a slight bitter almond flavour on the finish. This is a very complex wine. After the demi-johns have completed their outdoor exile the wine is placed in barrels which contain some of the previous year’s vintage to add even more complexity. We love this wine! This is Jean-Luc’s premium sweet wine! Jean-Luc loves making the famous fortified Muscat de Rivesaltes and this is a particularly fine example. This wine is sweet and is made in the style called Vin Doux Naturel where the fermentation is stopped before all the sugar is converted by killing off the yeasts through the addition of grape spirit to the fermenting wine (this process is known as ‘mutage’). It is made in about 90 communes across Roussillon which is the closest department to the Spanish border on the Mediterranean side of France. The only permitted grapes for this appellation are Muscat à Petits Grains and Muscat d’Alexandrie, but the combination of these two grapes provides a compelling complexity to the wine. By law this wine must be fortified and have a minimum alcohol content of 15% and must contain a minimum of 100 grams per litre of residual sugar. The wine spends 36 months in old barrels that are stored in a cool, constant temperature cellar.